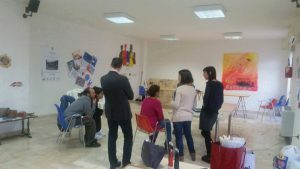 The aim of the Grundtvig Workshop organised in September 2013 by MVNGO was to develop participants’ individual and social skills, relevant to their personal development and learning needs. 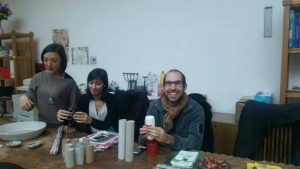 During the workshop, the participants’ creativity, teamwork skills, self-confidence and readiness for collaboration with others was enhanced. Non formal education had a positive influence in people with very different cultural and social background, so it can be used as a tool in the education process, providing competence development for personal self-esteem. 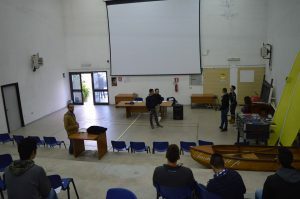 Main activities of the Workshop were planned following the prototype of the simulation method. The programme of the Workshop consisted of four different parts, where participants had an active role: they had to find out a solution to different types of problems accouring during the classroom sessions about different topics: intercultural dialogue, difficulties of comprehension, cultural behavior and linguistic barriers. Every teacher could face off problems during his/her daily work. The aim was to create “adaptive lessons” according to the different capabilities of the potential students to interact or understand another language. 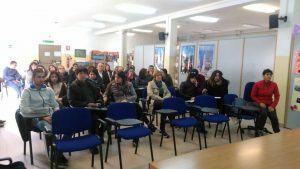 The main activites of the project were based on the use of Non formal education as a supporting method for facilitating the process of Learning a language by foreigners. -Promotes the use of NFE as a facilitator process during the working session. 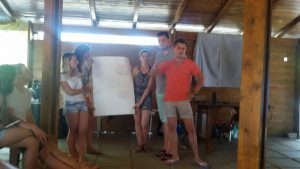 “Growing Social in Storytelling” (GSS) is an Erasmus Plus KA1 project in the frame of Adults education coordinated by Mine Vaganti NGO. 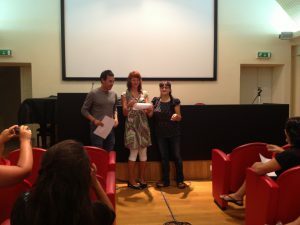 GSS comprises an international Consortium of 3 partner organizations from Italy, Cyprus and Germany. 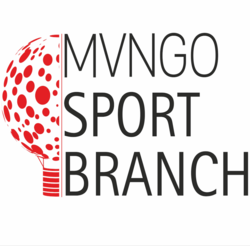 The project aims at developing the competences of regular members of MVNGO’s staff (Bloggers, Trainers and general staff members) to employ Storytelling and Digital Storytelling as instruments of communication and entrepreneurial development. 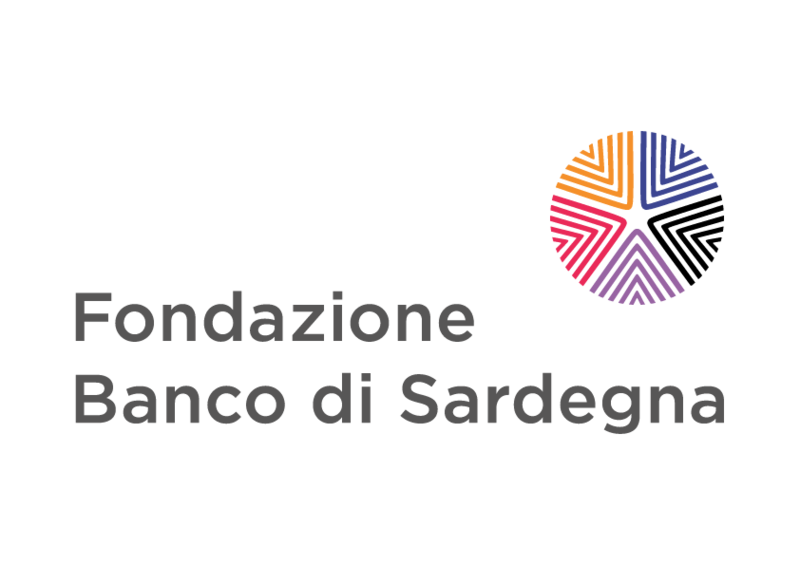 MVNGO has tested experience in the professional use of Non Formal Education (NFE) methods, successfully employed in recent years through the implementation of a set of NFE workshops focused on intercultural and interfaith dialogue in the area of North Sardinia. Amid successful implementation, MVNGO developed an internal reflection/analysis over prospected diffusion/dissemination strategies, letting emerge a shared assessment underlining the organizational lack of knowledge in innovative communication strategies. Digital storytelling is the most recent extension of storytelling towards digital, audio-visual media, fostering an impacting use of the possibilities granted by today’s digital world and enabling communication across language and cultural barriers. 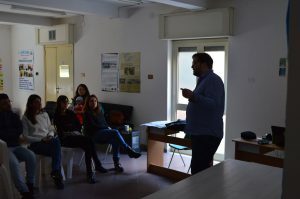 Storytelling is also a powerful tool in entrepreneurial education and business development, which acquire a specific importance for both the inner development of the organization in an entrepreneurial perspective and its activities of educational empowerment with disadvantaged adult targets (migrants, NEETs etc.). 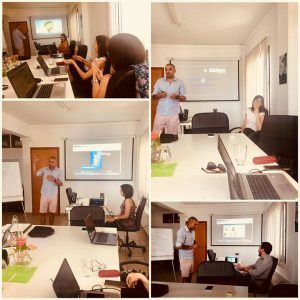 – Training Course on Digital Storytelling as a tool of communication involving 5 bloggers regular members of MVNGO in the premises of the partner organization Comparative Research Network (CRN) in Berlin. 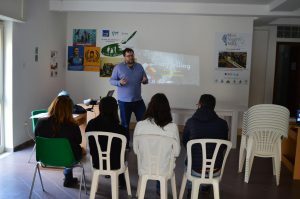 – Training Course on Storytellling as a tool of entrepreneurial enhancement and education in the premises of the partner organizaton DOREA (Cyprus), with the participation of 5 MVNGO Trainers. – Job Shadowing involving 5 regular staff members of MVNGO in the premises of the partner organization CRN (Berlin) and focused on developing regular mechanisms of cooperation and acquiring/exchanging knowledge as well as best practices in the use of Storyteling and Digital Storytelling. 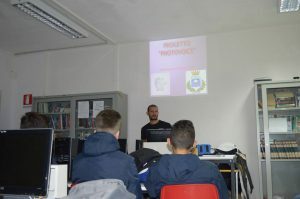 SETEA is an Erasmus Plus KA1 multiactivity project (2 Training Courses) coodinated by the Croatian NGO “Rijeka Sport’s Association“, with MVNGO as a partner organization and hosting organization of one of the project Training Courses. The project will involve 40 youth workers and leaders from partner organizations. SETEA aims at allowing youth operators (youth workers and leaders) and potential Sport entrepreneurs to employ Sport methods and practices to spread entrepreneurial mindset and skills among disadvantaged youngsters in partner countries. To share examples of good practices combating youth unemployment in sport. 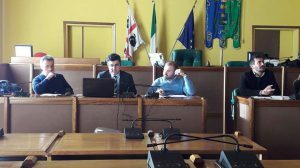 The Training Course was implemented in Italy (Sassari) between March 11-17 2018, with the participation of 20 Youth workers and leaders involved in Non Formal Education through Sport. TC activities were based on Non Formal Education tools as a medium for conveying entrepreneurial practices and values. The final outcome was the production of a Guidebook on Entrepreneurial Skills Development through Sport Education which alongside the knowledge and attitudes developed by participants during the TC will contribute in acting as multipliers disseminating TC outcomes within participants’ home organizations and to the larger audience of persons interested in becoming youth entrepreneurs. 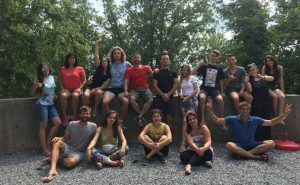 The Training Course took place in Rijeka (Croatia) between June 23-29 2018. 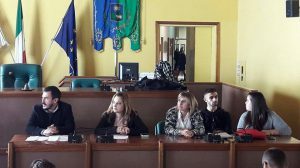 The participants were 20 among experienced Youth workers and potential Young sport entrepreneurs reached through dissemination of the first project TC. 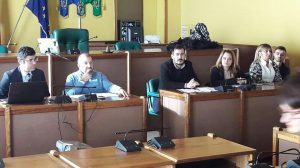 “Smart Tourism” and “Dance for Inclusion” were two mobility projects within the framework of the KA1 action of the Erasmus Plus program implemented simultaneously by Mine Vaganti NGO in the locality of San Teodoro (Sardinia, Italy). 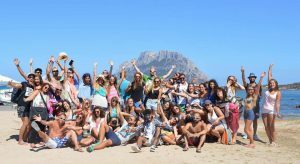 Smart Tourism involved a total of 28 youngsters aged 18-25 from 5 European countries (Italy, Poland, Spain, Romania and Bulgaria). 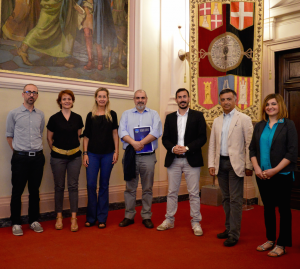 The objective of the project was to develop actions of active citizenship focused on the promotion of the territorial and cultural heritage in the context of social tourism. 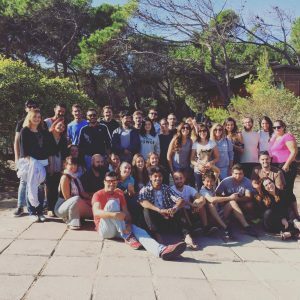 The Youth exchange intended to develop the ability of young people to discover a territory and its culture through the knowledge of traditions, environmental heritage, through little-known itineraries and routes that allowed to get to know in depth a people and its land. 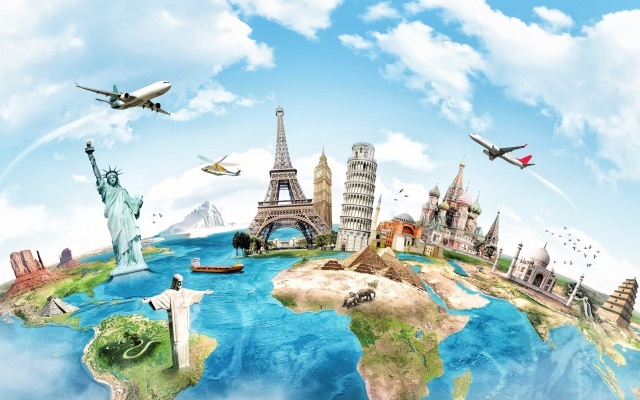 The youngsters have been involved in the discovery of itineraries of other countries, traditions and cultures that have not been valorized with the aim of creating a unique final product: Guide on cultural tourism as a path for meeting and personal development of young people. 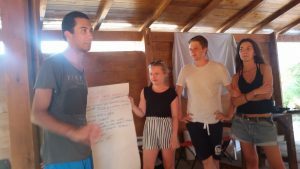 “Dance for Inclusion” is a multi-activity project within the KA1 action within which the “Dancing Together towards the Future” Youth Exchange has been implemented, hosted by Mine Vaganti NGO in San Teodoro. 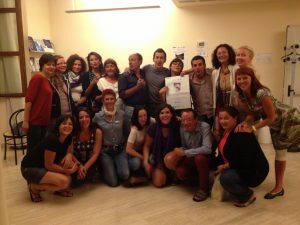 The Exchange involved a total of 22 young people between 18 and 25 years of age from Italy and Spain. 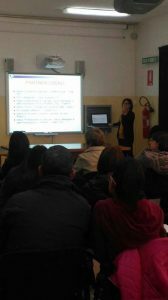 The young people involved came from disadvantaged and / or peripheral areas of Italy and Spain. The aim was to develop the social and relational skills of young people and their participatory attitudes through the use of non-formal education combined with dance. -Promote a participatory approach to youth education based on a “bottom-up” mechanism in which young people have the opportunity to participate as equal in the development of innovative methodologies. -Promote the participation of young people at the European level. The final result of the Exchange was represented by a Flash Mob implemented by the same participants in the host location. 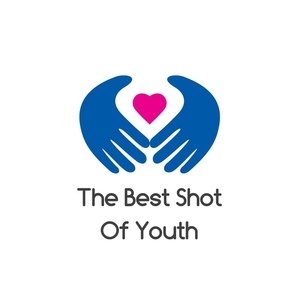 MVNGO supported the Informal Group Moving Values in the implementation of the bilateral Youth Exchange “The Best Shot of Youth”, April 21-28 2018. 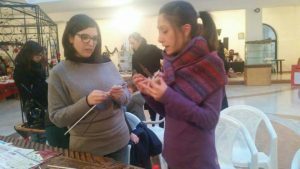 The project involved the participation of a total 44 youngsters coming from disadvantaged areas/peripheries in Italy and Spain (22 youngsters per youth exchange). 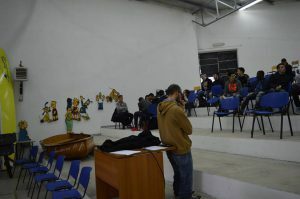 The project aimed at promoting full social inclusion of youngsters living in disadvantaged rural and urban areas through two different Youth Exchanges based on Non Formal Education tools and methodologies involving the use of Music and Dance as the main educational instrument. 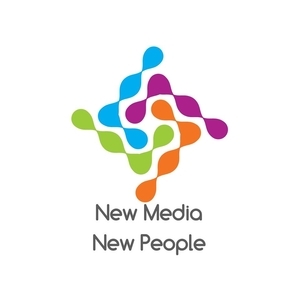 “New Media New People” was a Youth Exchange held in Porto Conte (Sardinia) between August 18-23 2018. 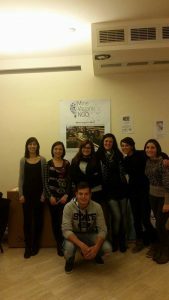 The Youth Exchange was implemented by the Informal Youth Group “Purple Cow”, with the support of MVNGO. Participants were 35 youngsters aged 18-25. This YE dealt with the importance of reconciliation and peacebuilding processes stimulating the sense of solidarity and promoting intercultural dialogue. 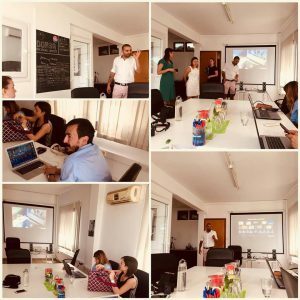 During the YE New Media tools (social networking sites, online video and photo channels) were integrated with non formal educational activities focused on the intercultural dialogue. New media were used throughout the project as an effective tool of communication and dissemination. In Europe we all live in a multicultural environment. For each of us, knowledge related to multiculturalism is particularly important, especially for the cause of greater integration. Nowadays we need to educate youngsters to get rid of the stereotypes and prejudices tied to their cultural and Mass Media influenced “luggage”. The current situation of Europe, which is challenged with receiving and integrating refugees requires an innovative and more effective education of youth. Knowledge and attitudes connected with respect for others and respect for different cultures have to be spread among young people, who will form the Europe of tomorrow. This youth will shape future life, politics and social affairs. That is why it is so important to prepare young people for the new challenges posed by a modern, globalized world and get the youngsters to be engaged in an active citizenship. This project focused on new media, especially social media networks as a part of everyday online communication practices of young people. During the YE participants will learn through non formal education, how to use different new media channels and applications to promote respect for cultural differences, sense of solidarity and foster intercultural dialogue. Participants also used new social media skills as writing, making photography, filmmaking, creating music to transmit positive messages on the Internet and shaping a society based on tolerance and cultural diversity. – Achieve a multiplier effect. – Make participants ambassadors of multiculturalism with their peers. 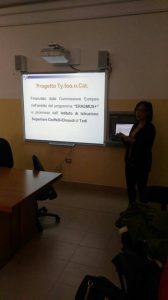 Mine Vaganti NGO was partner of the TyFoonCat project, written and implemented in collaboration with the coordinating body Institute of Higher Education Ciuffelli-Einaudi. 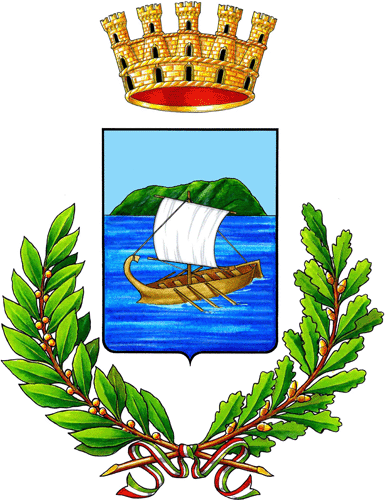 MVNGO was the reference body for mobility of the Region of Sardinia. 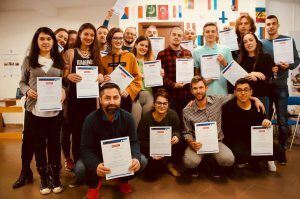 Erasmus + – Action KA1 VET is a sectorial program that is part of the wider Erasmus +, the European Union’s Education, Training, Youth and Sport 2014-2020 program. 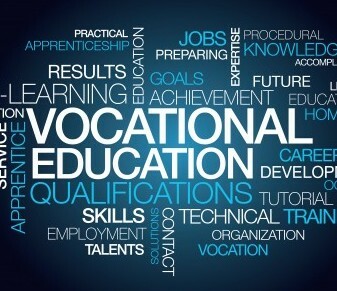 It has the goal of offering opportunities for study, training, work experience or volunteering abroad, and developing, through transnational cooperation, quality, innovation and the European dimension in systems and practices in the field of vocational training, thus contributing to the promotion of a Europe of knowledge. Through the specific VET measure the program supports the pursuit of professional internships abroad to be held at companies and institutions. For internships is meant specifically the pursuit of a period of training and / or professional experience. 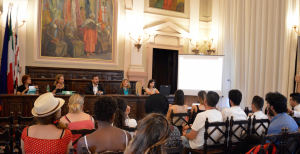 Within the Erasmus + sector, the Institute of Higher Education Ciuffelli-Einaudi received € 755,591.00 for the year 2015 to fund the 210 mobility mobility of 6 weeks to be held at organizations in EU countries.